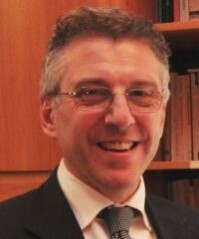 Giorgio Corno – avvocato (Italy, 1992) and as solicitor (England and Wales, 2004, admitted) – provides corporate and litigation services, at a domestic, cross border and international level, to corporate clients mainly in the area of company law, commercial law, as well as restructuring and insolvency. He heads Studio Corno Avvocati, a boutique law firm established in 1994. He regularly operates, as well, as a professional mediator (conciliatore) on behalf of Conciliatore Bancario Finanziario (Rome) in disputes between clients and financial institutions. After graduating at Milan Catholic University (1988, full honors), Mr. Corno practiced law at Prof. Mario Casella law firm, one of the leading Italian practices, at the time, in company and insolvency law. He frequently lectures both at national and international conferences, mainly on corporate restructuring and insolvency law. He takes part in organizing conferences at a national and international level; and to several projects on insolvency and restructuring law, mainly aimed at harmonizing national laws with EU and international rules. Among others, he has been a member of the group that has assisted the European Commission on the adoption of the 2014 Recommendation on a new approach to business failure and insolvency. A member of the Monza and Brianza Bar and the Law Society of England and Wales, he takes part, as well, to the following legal international organizations: International Law Association (ILA, Brussels); European Law Institute (ELI, Vienna). In the restructuring and insolvency area he is a founding member of the executive of CERIL – Conference Of European Restructuring And Insolvency Law (Leiden, The Netherland); and a member of International Insolvency Institute (III, New York); INSOL Europe and Academic Forum of INSOL Europe (London); Insolvency Lawyers Association (ILA, London); European Association of Certified Turnaround Professionals (EACTP, London); HWW International (Germany). Annually quoted since 2007 in Who’s Who on insolvency and restructuring, he has also been quoted in other legal directories, such as Legal 500.